This paper analyses the risk of unemployment, unemployment duration, and the risk of longterm unemployment immediately after apprenticeship graduation. Unemployed apprenticeship graduates constitute a large share of unemployed youth in Germany but unemployment incidence within this group is unequally distributed. Our paper extends previous research in three dimensions. 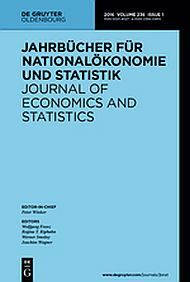 It shows that (i) individual productivity assessment of the training firm, (ii) initial selection into high reputation training firms and occupations, and (iii) adverse selection of employer moving graduates are correlated with unemployment after apprenticeship graduation. The empirical evidence is obtained from the second longitudinal version of the linked employer-employee panel data from the IAB (LIAB). This large data set allows us to calculate the exact unemployment spell length of apprenticeship graduates. In addition, we can include individual, employer, occupation as well as industrial relation characteristics before and after apprenticeship graduation into our list of explanatory variables for unemployment risk. We show in several robustness checks that our results are remarkably stable when we vary the employees included in the sample, the definition of unemployment, and the list of explanatory variables.